If you wish what I think about nginx go here. 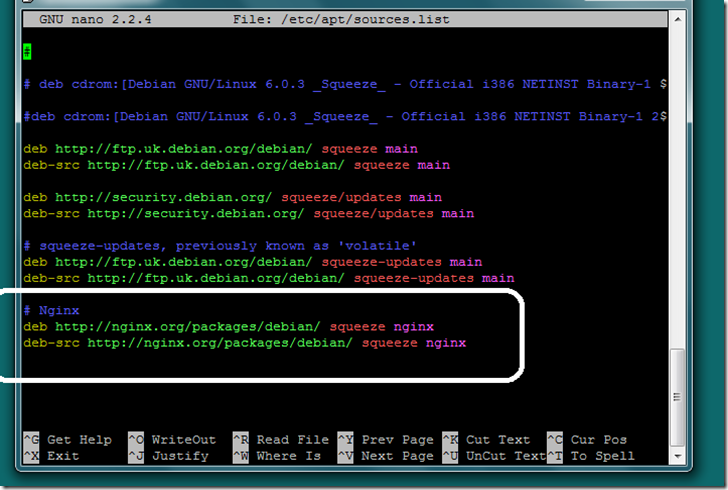 So here is the simplest way to install fresh version of Nginx on Debian system. I do not prefer to manually compile nginx. Also nginx developing continuously, means your distribution of Linux will have outdated version of nginx. 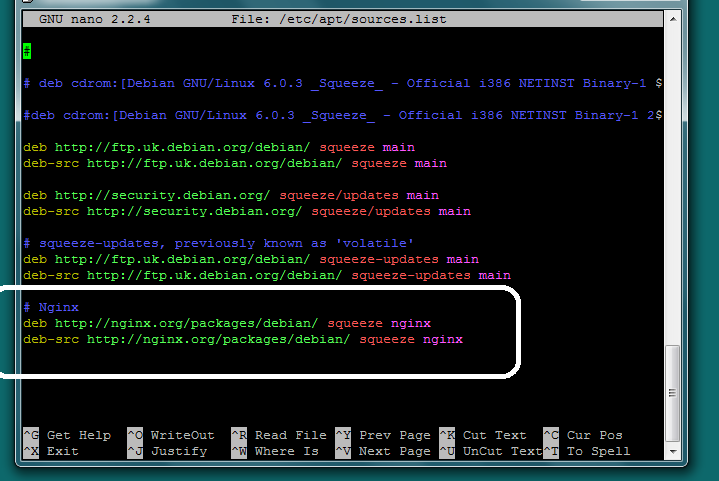 The easiest way is to add nginx repository to your Linux system. Open your /etc/apt/sources.list file. Add the following strings after #Nginx. Process update of repository: aptitude update. Here you are! 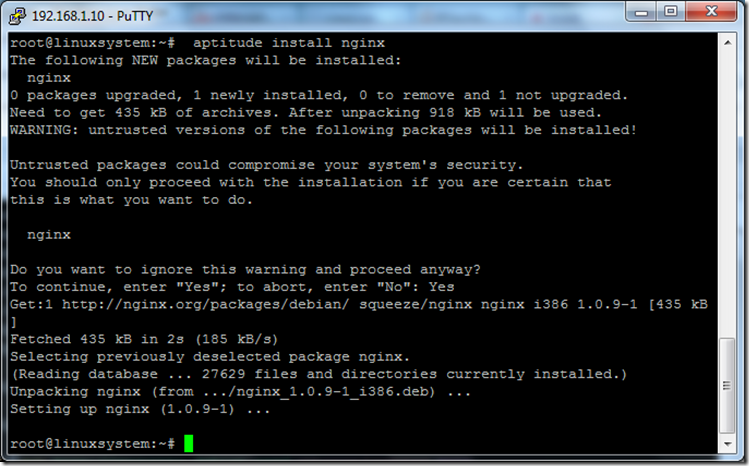 Your nginx is installed to your Linux system.